Whether hit or miss, Rita Ora continues to have fun with her fashion choices. Last night(April 4th) she attended the Montblanc Meisterstuck Le Petit Prince Event at the One World Trade Center Observatory in New York. 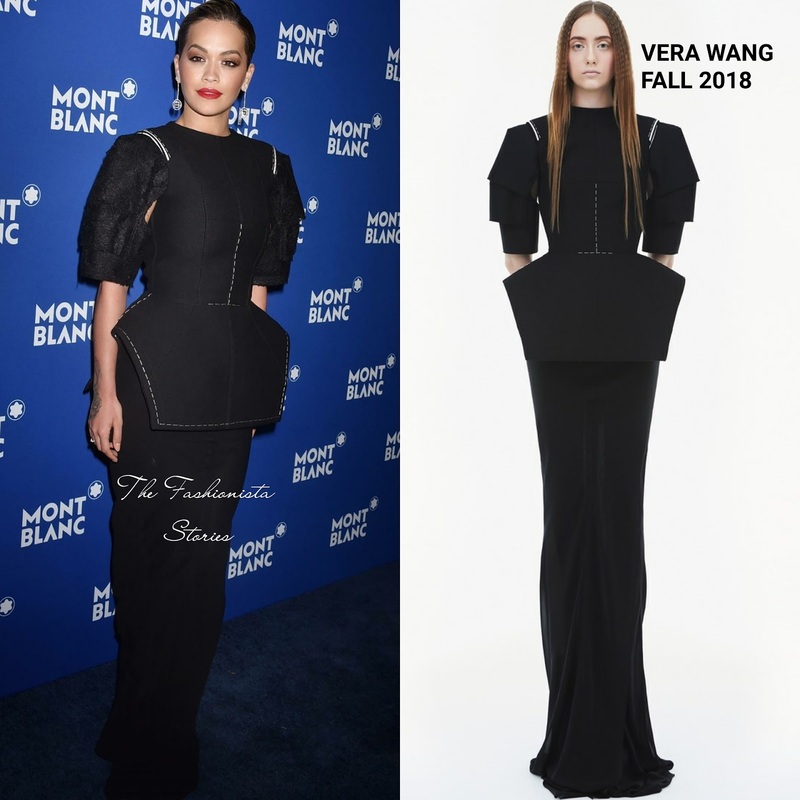 She hit the blue carpet wearing a VERA WANG FALL 2018 black floor length dress with three-quarter tier sleeves, contrasting white stitching and a structured peplum detail which complimented the long skirt. Love the fit of this dress on her and while this would be perfect for someone on the taller side, it also worked in Rita's favor. Rocking MONTBLANC earrings, she finished up with a flawless beauty look.